I woke up one day to discover that all beauty bloggers slathered blue liquid on their faces and spoke in a string of acronyms. What did NIOD stand for? Or CAIS, for that matter? Five days and 45 euros later I was to find out for myself. NIOD is one of the brands of Deciem, the same company that makes my favorite skincare, The Ordinary. CAIS is Copper Amino Isolate Serum. I selected the 1% concentration. The online praises for CAIS reached a fever pitch by the time I had learned of it. It was supposed to activate body functions, although the collective wisdom couldn’t figure out which ones. It was to produce results on the fifth day, although NIOD said that the serum “departs from the traditional thinking of addressing visible aspects of skin aging individually and instead forms a foundation to respect skin health.” As you can see, much remained mysterious about this blue potion before I got my hands on it, but it sounded tantalizing enough to take the plunge. Moreover, I had such faith in Deciem that I was willing to overlook their befuddling descriptions. The serum arrived with a two page manual and in two bottles, one of which contained Copper Amino Isolate Serum and the other one the activator. Once I mixed them together, I saw that the liquid was bright blue. I started using it every morning after washing my face and I followed CAIS with a light moisturizer and sunscreen. Perhaps I should explain why the idea of a copper peptide serum tempted me. A peptide is a chain of amino acids held together by peptide bonds, and it’s an important building block for proteins and enzymes. As such, it’s been the subject of intensive research on its role in wound healing and skin health. Some studies have shown that certain peptides, such as copper peptides, promote collagen production. Among many skincare brands, these ingredients are advertised as the latest in the solutions for sun damage, loss of elasticity, tone and general skin aging. Anti-aging is not my skincare goal, but if peptides could keep my skin even toned and healthy, I was glad to use them. So, while dutifully applying CAIS every morning, I began to read various dermatology magazines that come my way as a beauty industry professional seeking out articles about copper peptides. Right away, I noticed a gap between the claims and the actual findings. For instance, a peptide can play an important role in keeping tissues healthy, but does slathering it on top of the skin have such effect? Not only are there numerous peptides, the causal relationship between a string of specific amino acids and healthy skin (to speak nothing of skin that resists the natural aging processes) is far from straightforward. After two months of using NIOD’s serum almost daily, I didn’t see any changes. My skin looked fine, but then again, it looked this way when I was using The Ordinary serums as part of my skincare. I was about to give up when a friend gave me a bottle of CAIS as a gift (it pays to have a reputation as a skincare nerd), so I continued my regimen with CAIS for another 1.5 months. All in all, it was a pleasant product to use, but I didn’t see any difference in the way my skin looked before and after. As I discovered, one drawback of CAIS is its fragility. One day the serum’s color changed from bright blue to dark grey. I suspected that the higher summer temperatures in my non-air conditioned apartment made the serum oxidize. Many skincare products are quite temperature sensitive, including Vitamin C serums, but CAIS seems especially so. But of course, the main reason I grew cool on CAIS was because in comparison to my other skincare favorites, it didn’t produce the results. As soon as I stopped with CAIS and went back to my routine using The Ordinary Alpha Arbutin serum followed by Niacinamide serum, I noticed that my skin looked more radiant than it did over the previous months. And just like this I was cured of the CAIS mania. 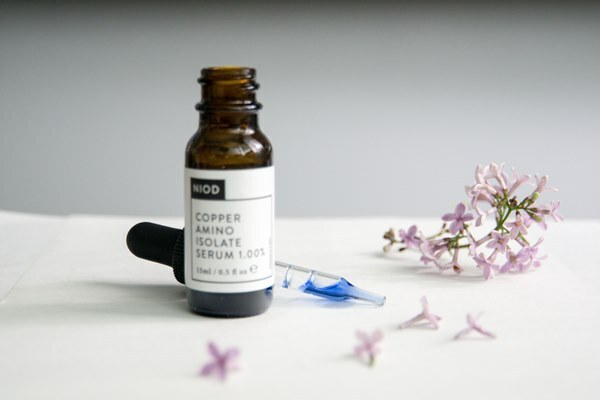 So are copper peptides as skincare ingredients the panacea for skin? I don’t think so, because no single ingredient is. 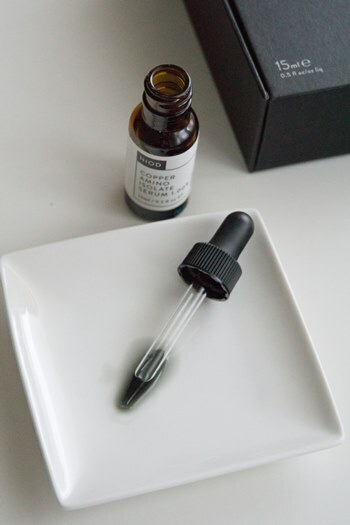 Copper peptides are good ingredients to use as part of your routine, and some of my favorite serums like The Ordinary Buffet include them in their cocktails of antioxidants. Relying on copper peptides alone, however, won’t make a great difference. Better invest in a good sunscreen and try to get enough sleep. Victoria: What was the effect on your skin, Trudy? Ann: Wonderful article, and especially of interest since you have such lovely skin! I agree with your logic – I have bypassed many products because they seem to just glop on products that sound good onto the skin. It was explained to me that Vitamin A produces Collagen, so I started using a retinol cream at night. 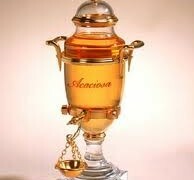 And I oil cleanse using oils that are supposed to be good for the skin – rosehip & geranium. Victoria: Retinols are excellent ingredients in skincare, and as long as you start slowly, you can derive many benefits from them. The results are also long term, but for me they were visible. Thanks for this post because I’ve also been reeled in by the hype and actually placed an order CAIS last night. If I don’t see a difference at least I’ll know I’m not the only one. I persisted with some hyaluronic acids for way too long when the molecular size meant it wasn’t penetrating. Funnily enough, it’s the NIOD one that works for me. Victoria: NIOD’s other products I’ve tried were excellent, and I will do a separate review. Danaki: What luck! I was about to plunge into a 15ml bottle yesterday online, but thought to wait. Glad to read this today. As a busy academic, I’m glad someone else did the intelligent research and reading for me. Better spend my money on The Ordinary Vit C, which made the most difference for me (even though it tingles) and Alpha Arbutin. I’m also going to try Niacinamide as it wasn’t available the last time I did The Ordinary online haul. Victoria: Ha, the enough sleep part is a hard one for me, especially if I start a new, interesting book in the evening. Debby: Thanks for this, I’ve been dithering over this stuff for quite a while because of the hype. It just cost more than I like to spend though! Thinking of trying retinoid though it’s a bit daunting. Victoria: I like their Vitamin C serum (ELAN, to continue with the acronyms.) I also liked Mastic Must. Their hydration vaccine caught my attention, but I don’t like that it has silicones. I prefer Hylamide’s silicone free hyaluronic acid serum for my moisturizer. I haven’t tried many other boosters long enough to tell, but all in all, it’s another fine range. Nancy Arnott: Thanks for the review, Victoria! I remember the previous copper-peptide trend, back in the early years of the millennium. I tried Osmotics’ Blue Copper (which is still around, I see) and some other copper-peptide product and did not see any great benefits. I think I’ll give this one a pass, too. I do like The Ordinary’s alpha arbutin and vitamin C, which I learned about from you. When I reorder the, I’ll try the niacinamide. Nancy Arnott: Lily, it’s just two small patches about a half-inch below the corners of my mouth that periodically get red, flaky and itchy. Stress seems to be one of the triggers. Sandra: I actually have some of that! I will give it a try. Victoria: Niacinamide + Alpha Arbutin is a good combination, and the one I often use. So, if you’ve already included the latter in your routine, adding Niacinamide would be easy. Victoria: I’ve also used ELAN (Vitamin C), and I like how elegant it is as a formula. I visited the deciem store in Canada and had a great time. I noticed a lot of women on my husbands side of the family are huge fans,one person adores Flavanone mud mask. 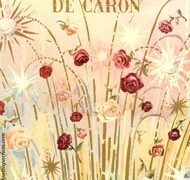 I have only used The Ordinary, and have been very happy. Victoria: I’m not a huge fan of Flavanone Mud Mask, which just makes my skin red. I haven’t figured out what it’s supposed to do. And I really dislike the awkward jar packaging. Have you tried it? mj: Thanks for this post! I’m currently using several The Ordinary products and I’m very happy with them, so I was thinking on stepping up to NIOD, but I think I will pass. maja: Hi Victoria, I am always happy to read your reviews, positive or unenthusiastic. I have just placed my first order of The Ordinary serums (ones concerning pigmentation mostly) and I can’t wait to start using them. Unfortunately, I had to avoid for now all of their exfoliating/acid/retionoid stuff since I spend a lot of time outdoors. I will try those during winter. ← What Does The Word Mitsouko Mean?